I think many people have a wide open spaces and big sky impression of Texas and certainly this is not untrue, depending on where you are. Hang out in Austin and it’s beginning to look as cosmopolitan as any growing city. But go out west, about an hour, and the stereotypical Texas emerges. 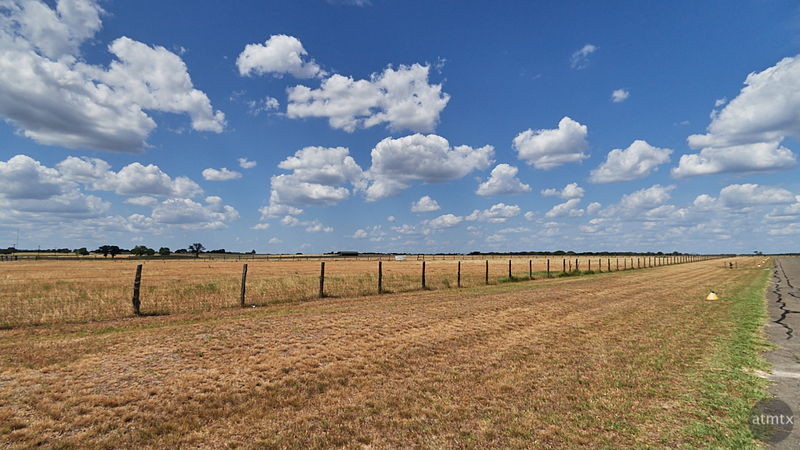 This is a photo from the Lyndon B. Johnson State Park, originally his family ranch. This was where Johnson, the 36th President of the United States, spent his time when he was not in Washington. In fact, the house on this property is nicknamed the Texas Whitehouse. The paved area to the right is actually part of the airstrip that was used when the President flew back and forth from Texas to Washington. Despite my 27 years in Austin, this is first time I visited. I didn’t have time to see everything so I’m going back for another visit. Hopefully soon. With a still working ranch and big open spaces, it might be the place to take out-of-towners for a bit of rural Texas flavor.